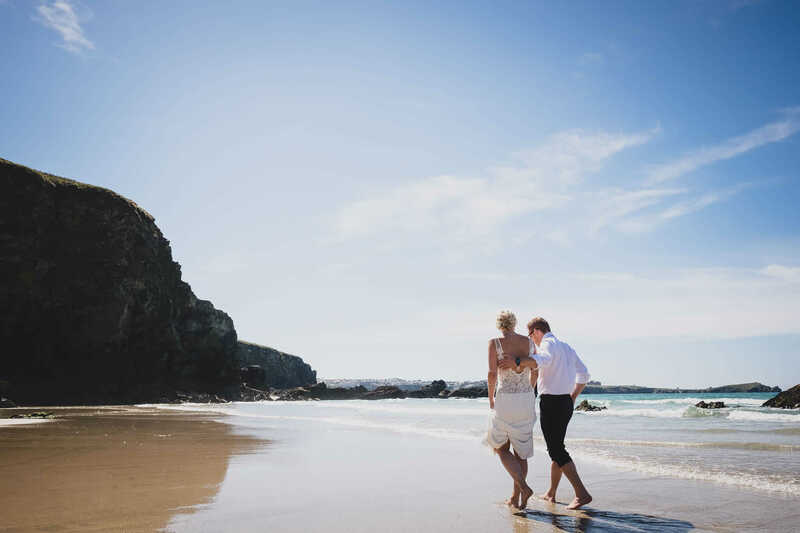 A simply stunning setting for a romantic beach wedding in Cornwall – this secluded horseshoe-shaped cove set on the beautiful north Cornish coast offers a truly unique venue. 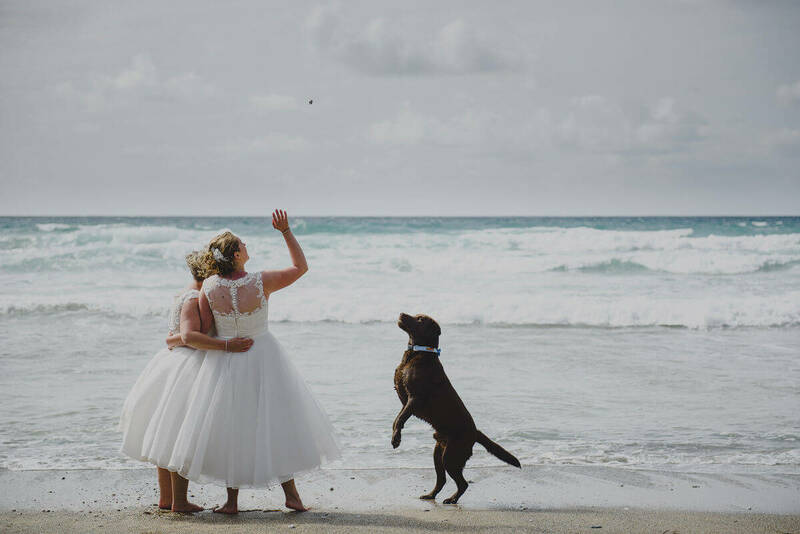 Say ‘I do’ on the picturesque decking, overlooking the beach and Atlantic Ocean beyond, with the sound of crashing waves as the sound track to your ceremony. 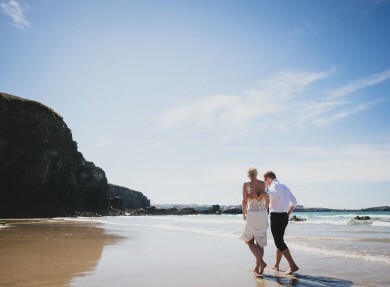 Reception drinks can be enjoyed with sand between your toes, whether you’ve decided to reserve your own exclusive section of the beach or the whole cove. 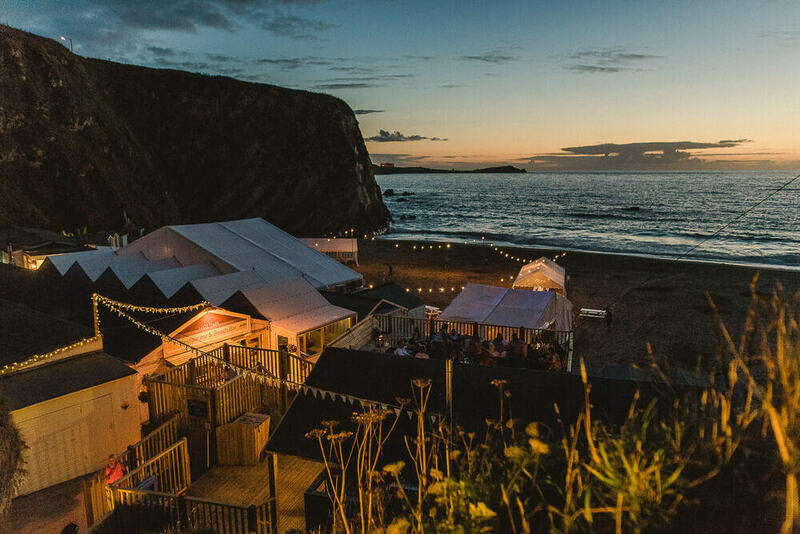 With the option to celebrate your big day in a beachside marquee or within the restaurant itself – you can find the perfect option to suit you. Whatever you choose, you can be sure that your chosen menu will be cooked to perfection by the talented team of chefs. The party doesn’t stop there, why not enjoy a variety of beach activities, including volleyball, rounders or even – for those guests ready for a dip – a spot of surfing! 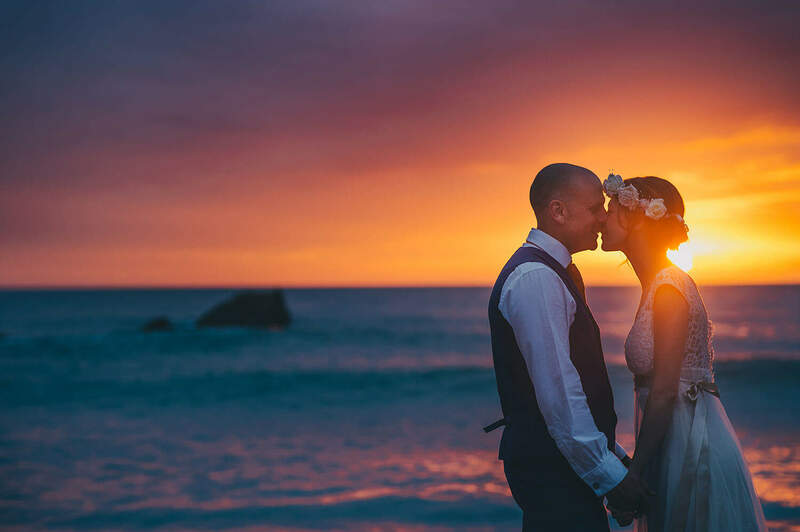 With dramatic cliffs framing the beach as the sun sets directly over the sea, the cove is filled with beautiful light and colours that create the perfect romantic atmosphere for your celebrations as they continue into the evening. 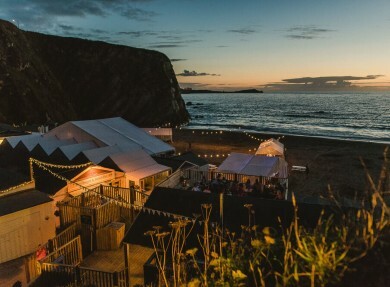 However, it’s not all about summer weddings – as the perfect venue for a cosy winter wedding, simply think fairy lights, storm lanterns and roaring fires – what could be more romantic? 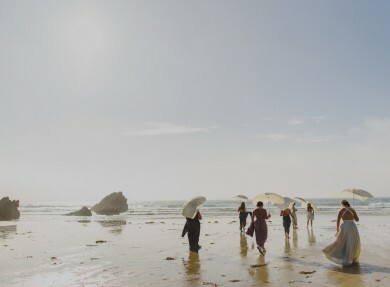 Celebrate in the warmth with the backdrop of the fierce seas, crashing waves and dark skies. 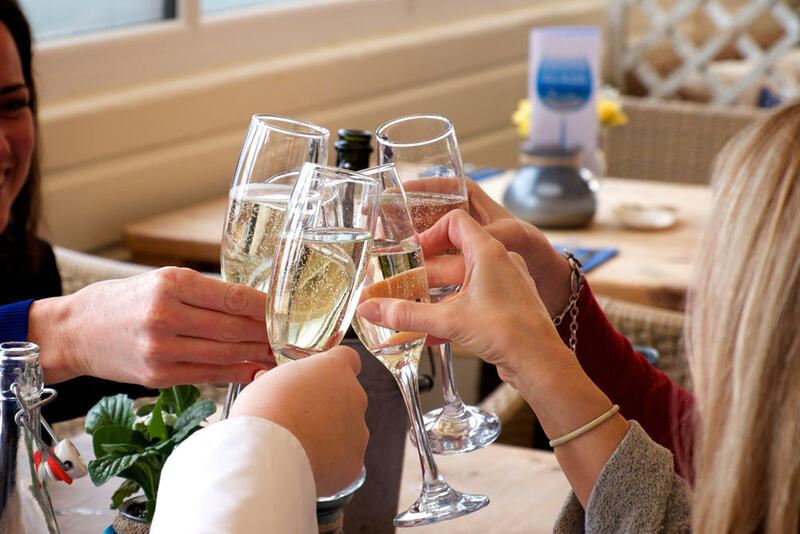 The restaurant, bar and heated, covered decking area provides the perfect haven to say your vows before kicking off the celebrations. 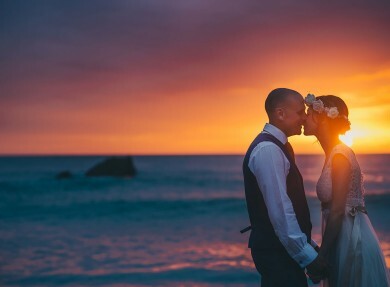 The idea of spending your first night as a married couple in the beautiful beachside cottage, sipping champagne under the stars – it’s the perfect romantic hideaway. 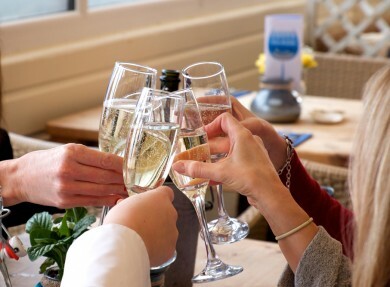 The Chalet is also available, allowing some of your guests to enjoy an extended stay alongside you. 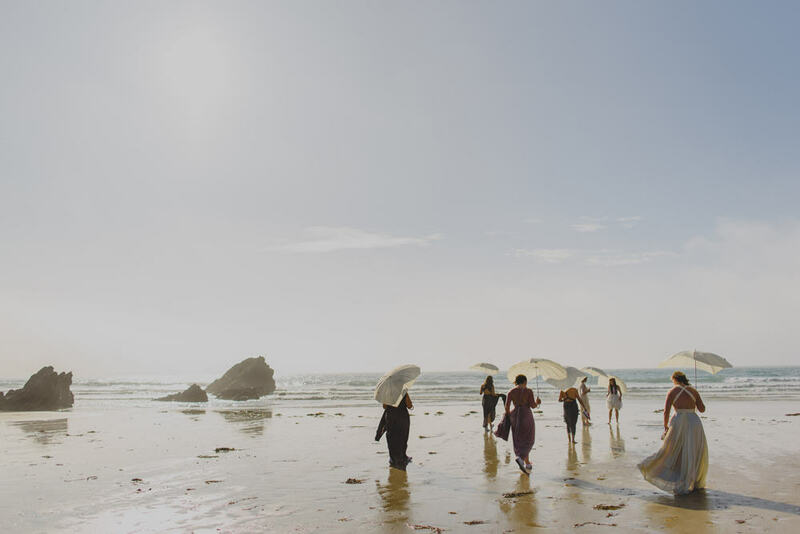 The opportunity to make the most of this picture perfect location to create stunning wedding photographs that can be treasured forever.